Everybody loves to Jump, bounce, flip and fly through the air. Now people of all ages can do so in one central place. Boing Central – a unique indoor trampoline park in Norwest packed with lots of fun things to do. 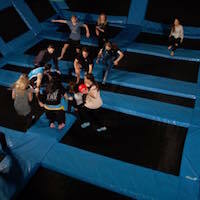 Imagine over 1000 square meters of trampolines, padding & foam. Now imagine being able to practice your flips and tricks in a safe environment surrounded by all your friends. Now everyone can embrace the freedom to take off, get airborne and take flight. Boing Central is a place where Family Fun and Fitness come together . 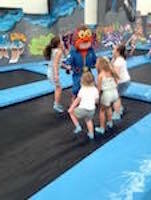 Trampolining is a healthy alternative for the kids and adults alike. Trampolines are four (4) times more effective than any GYM exercise and can reduce a 1-hour workout to a 15-minute trampoline fitness session, without the weights. Boing Central provides a safe, exciting and fun environment for friends and families to enjoy together. Providing our patrons with a unique, exciting experience each time they visit our amazing Indoor Trampoline Arena. 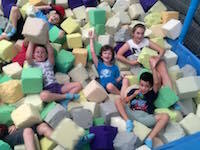 •Foam Central – Foam Pit fun, practice those flips you’ve always wanted too.